It’s been a long week, a real long week. So long that we aren’t even going to tie on a bowtie for Bowtie Friday. Instead, it’s a jeans and hoodie type of day, but we can’t go completely bowtie-less. 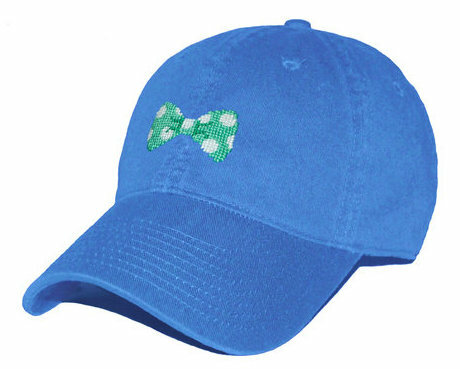 Today our bow will be in needlepoint form thanks to the Smathers & Branson Bowtie Needlepoint Hat. We’ve managed to accumulate a few Smathers & Branson hats over the last couple of years, and they never disappoint. The classic six panel design keeps a low profile, and breaks in extremely well over time. 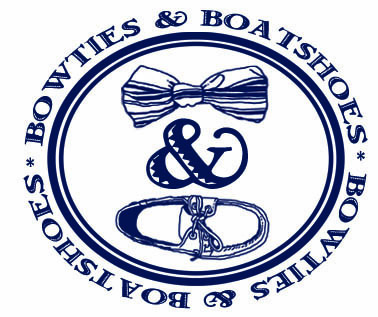 In the case of the Bowtie hat, you can choose from navy with a pink and green repp stripe bow or, our favorite, royal with a green and white polka dot tie. Quite honestly, you can’t go wrong with either of them for a casual day running around town.